In the third quarter of 2018, Atakas Liman Isletmeciligi Ve Tic. A.S. (Atakas Port Business) ordered a Model 7 portal harbour crane, making it the third Konecranes Gottwald crane purchased within the past year. The recent contract includes an option for another crane at a later date. 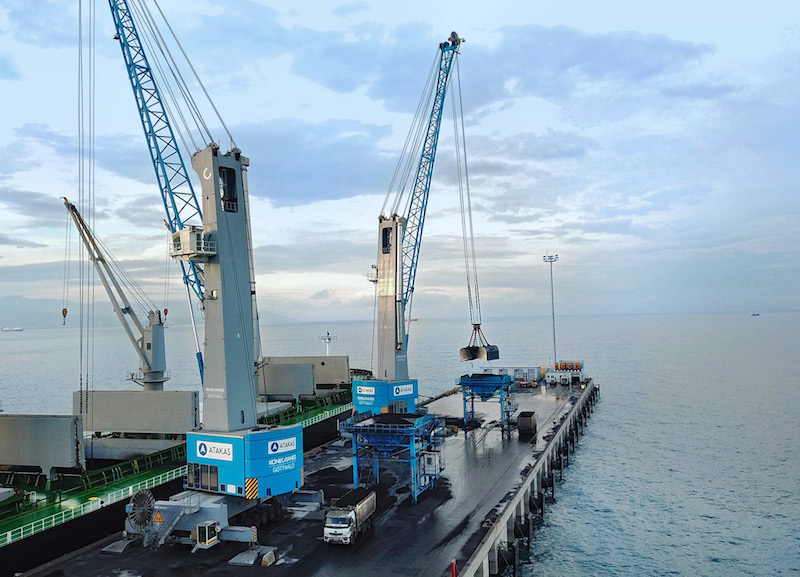 The rail-mounted portal harbor crane for Turkey's newest port operator, Atakas Port Business, a subsidiary of Atakas Corporate Group, follows two rubber-tired Konecranes Gottwald Model 7 mobile harbour cranes put into operation a year ago. Starting mid-2019, the latest crane will go to work in Iskenderun on Turkey’s southeastern coast, mainly handling bulk and later serving large container vessels. Hans-Juergen Schneider, Regional Sales Manager of Konecranes’ Business Unit Mobile Harbour Cranes: "We are proud that this ambitious new Turkish port operator selected our technology right from the outset and continues to opt for it, having come to appreciate its assets." The Model 7 portal harbour crane for Atakas is a four-rope G HSK 7528 B crane. It provides lifting capacities of up to 125 t, a powerful 50-t grab curve for mechanical grab operation and an outreach of up to 54 m. The crane’s individually designed portal has a clearance of 6 m, the track gauge measuring 14 m. To compensate for the different rail loadings due to the crane offset in relation to its portal, the bogies on the quay side are fitted with eight wheels each and on the land side with six.